Bayern are winless in their last four games in all competitions and suffered back-to-back league defeats for the first time since May 2015, when they had already won the Bundesliga title. BERLIN: Bayern Munich suffered a second consecutive Bundesliga defeat, crashing 3-0 at home to Borussia Moenchengladbach, to drop to fifth in the table on Saturday while Paco Alcacer scored a hat-trick for league leaders Borussia Dortmund. 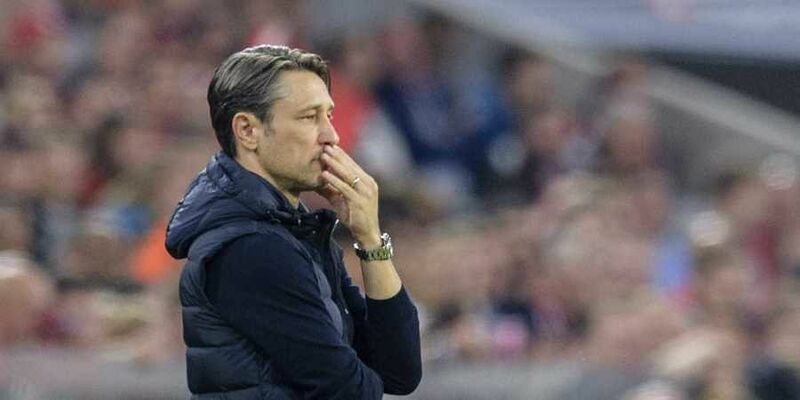 Pressure is mounting on Bayern head coach Niko Kovac whose side are four points behind Dortmund. Bayern were 2-0 down after just 16 minutes at the Allianz Arena. Gladbach striker Alassane Plea beautifully curled a long-range shot around the dive of Munich goalkeeper Manuel Neuer on 10 minutes. The second came six minutes later when Bayern midfielder Thiago Alcantara lost possession near his own box. Jonas Hofmann pounced on the loose ball and squared for club captain Lars Stindl, making his return after long-term injury, to score and stun the Munich crowd. Bayern left-back David Alaba limped off with injury after the break and although Munich striker Robert Lewandowski had the ball in the Gladbach net on 68 minutes, the effort was offside. Patrick Hermann added the third goal in the 88th minute when he took advantage of a mistake in the Bayern defence and fired the ball across Neuer. Gladbach are now second, three points behind leaders Dortmund who needed a 96th-minute free-kick from Alcacer to seal a stunning 4-3 win over Augsburg. Having already scored two late goals off the bench in last Saturday's 4-2 comeback victory at Bayer Leverkusen, and netted again in the 3-0 Champions League midweek win over Monaco, Alcacer was again deadly off the bench. With seven goals in just four games since signing on a season-long loan from Barcelona, the 25-year-old, on loan from Barcelona until June, hopes to stay past the 2018/19 season. "I feel good here and I can imagine staying at Borussia Dortmund for more than a year," said Alcacer. "Goals are important, but more important is the team spirit." There was no clue of the drama to come when Dortmund slipped 1-0 down after Alfred Finnbogason's first-half goal. Alcacer equalised on 62 minutes, three minutes after coming on, by converting a cross by winger Jadon Sancho, 18, who had his first call up to the senior England squad on Thursday. Philipp Max restored Augsburg's lead only for Alcacer to claim his second equaliser on 80 minutes when he fired in off the post. Dortmund led for the first time on 84 minutes when midfielder Mario Goetze, another second-half replacement, latched onto a great through ball and fired home. The game swung when Augsburg equalised as Michael Gregoritsch headed home a Max cross to make it 3-3 with three minutes left. However, the stage was set for Alcacer to seal the three points after Augsburg's Sergio Cordova gave away a free-kick. Elsewhere, Hertha Berlin missed the chance to climb over third-placed Werder Bremen, who won 2-0 at Wolfsburg on Friday, by being held to a goalless draw at Mainz. After losing their first five games, Schalke continue their rise with a 2-0 win at Fortuna Duesseldorf as US international Weston McKennie and Guido Burgstaller grabbed the goals to put them 14th. US striker Bobby Wood scored with two perfectly-timed headers as Hanover 96 picked up their first win of the season with a 3-1 home win against Stuttgart, who are now bottom. Former Germany striker Mario Gomez, with a bandaged head after a first-half clash, scored Stuttgart's consolation goal soon after the break before Hanover's Togo striker Ihlas Bebou added their third in the 91st minute.